It is not often that you see a skeleton actually clinging to its grave. Typically, the dead try to escape them. But that does not seem to be the case when this Deluxe Fiberglass Tombstone is concerned, as this skeleton clings quite tightly to it. This impressive sculpture features a square tiered base that ascends up three steps before flattening out to provide the base necessary for a tombstone. The headstone itself is tall and simple, being rectangular in shape and featuring several large cracks and nicks in its stone-gray appearance. Carved in red lettering at the center of the headstone are the letters RIP, while the top of the stone is capped with a rounded cross emblem. 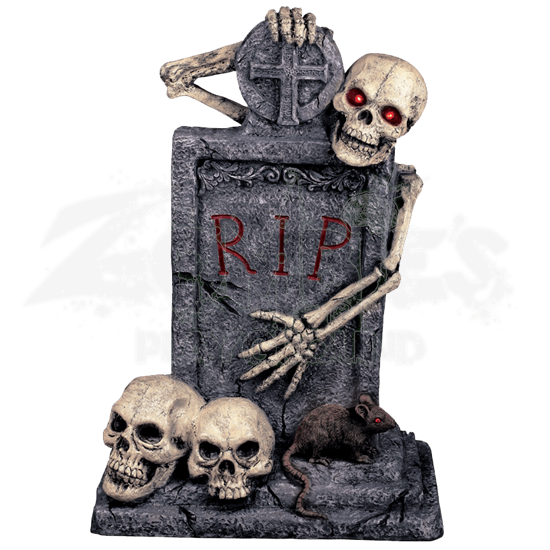 Two skulls sit next to the tombstone, accompanied by a little brown rat with red eyes. Hanging over the side of the tombstone is a skeletal figure with red LED eyes that glow even brighter when activated. This impressive figurine is made from durable fiberglass and is fantastic for either indoor or outdoor use. It measures approximately 30 inches tall and is battery powered (batteries are not included). 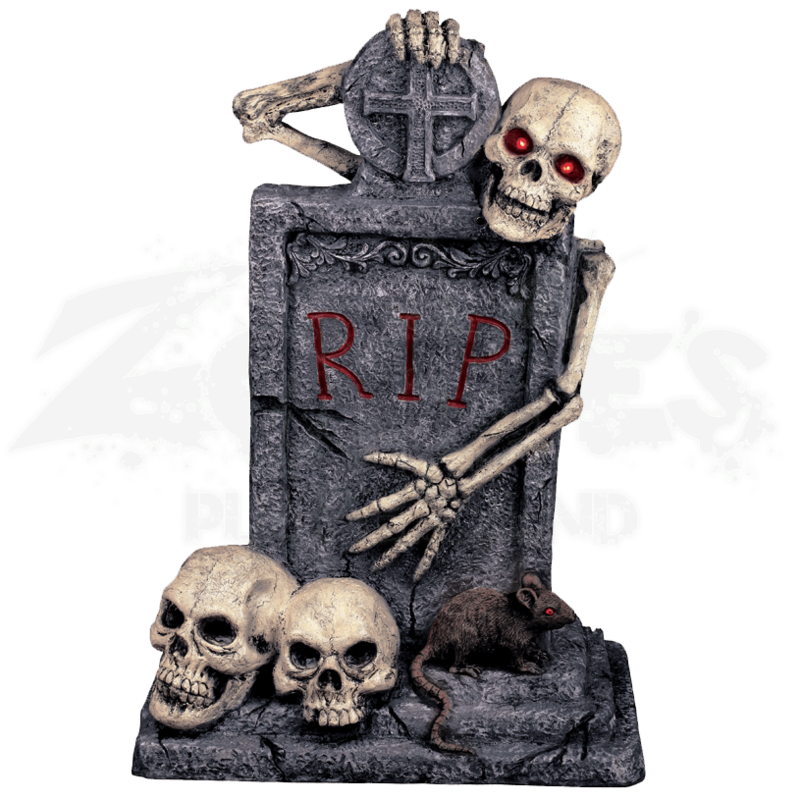 Set this Deluxe Fiberglass Tombstone in your yard and decorate liberally with other dead influences to create the look of a truly ghoulish graveyard this Halloween.